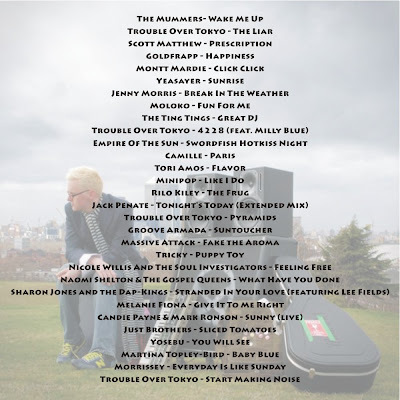 This Sunday's show is dedicated to Trouble Over Tokyo - you will find one of his songs in each half-hour of the show. 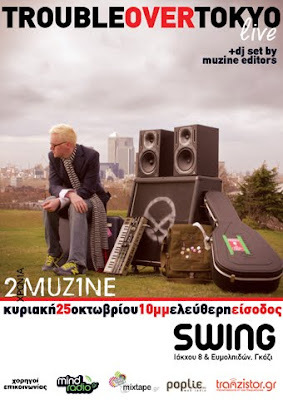 He is playing live in Athens tonight, at Swing-Bar in Gazi, starting at 22:00, free entrance. The gig is organized by Muzine magazine for it's 2nd birthday celebrations and sponsored, between others, by Poplie radio (where my show is every Sunday, 12:00-14:00). Download it from the right side of this blog as usual! Hope you like it. My first radio show at Poplie! World Day of Architecture today!